However, it’s far from the first wine cocktail and very far from the first sparkling Sauternes. Champagne has French 75 – a cocktail concocted from classic fizz, gin, lemon juice and sugar – that hits its centenary this year. 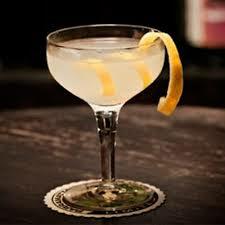 Created at Harry’s New York Bar in Paris, it celebrated the French army’s new 75mm field gun which, like the cocktail packed a decent punch. There’s a Bordeaux cocktail: a 1977 invention of Tito Class in Seattle blending citron vodka and Lillet Blanc in a 2:1 mix. But, long before either of these there was Sparkling Sauternes. Henry Vizetelly’s 1879 edition of Facts about champagne described how a sparkling wine made from the wine of Sauternes was dosed with the ‘finest old sauternes’ administered through ‘the most improved modern appliance, constructed of silver and provided with crystal taps’. A sparkling Barsac was submitted to the 1878 Paris Exhibition and was available in England in either Brut or Extra Brut form from the firm of Normandin & Co.
Sparkling Saumur from firms such as Ackerman-Laurance and Bouvet-Ladubay had been around for some while before it was fully launched into the English market by the firm of W. & A. Gilbey in the mid-1870s. Advertised at the time as a wine that could ‘deceive even connoisseurs of champagne’, Sparkling Saumur took the UK market by storm – cheap and easy-drinking; you might call it the Prosecco of its day. The success of Sparkling Saumur (and Champagne) inspired wine makers in other areas to consider the benefits of added bubbles. Reviewing the UK trade press it seems that the Sparkling Sherry was the first on the blocks after Sparkling Sauternes. The sherry market – beset by adulteration and price-cutting – had been declining steadily since the 1860s and Peter Domecq and two other firms launched Sparkling Sherry in 1881 since ‘Novelty is now-a-day supposed to be a powerful talisman to [attracting] attention’. Sales did not sparkle and a trademark dispute between the three companies involved further complicated matters and, despite attempts in 1891 to relaunch the product, it never registered on the UK market. Neither did Sparkling Medoc, the next entry in the lists. ‘Aerated Claret’ was first launched with the aid of adverts in The Times in 1896 and re-launched by the firm of Nathaniel Johnston of Bordeaux in 1902 when the English trade press commented that it was ‘quite worth the trouble of tasting’ being a white wine which ‘to outward appearance resembles Champagne’. But, like the Spaniards, they couldn’t use the term champagne (since the latter’s lawyers were now well-funded and highly active) and they couldn’t match the price of cheaper champagnes. Johnson’s wines – branded as Royal Sparkling Medoc and Royal Johnston – were still in the market five years later (unlike White Sparkling Port) but, as the trade journal observed they were caught between ‘the Scylla and Charybdis of high-class Champagnes on the one hand, and Saumurs on the other’. Adverts for these wines had disappeared by 1914 and, to the best of my knowledge, none of them survived the First World War. It will be interesting to see what happens to this new form of sparkling Sauternes – and what, if anything, the firm of Perrier-Jouët will make of their eponymous rivals’ newest assault on champagne. 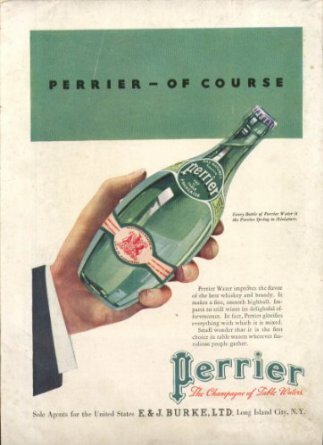 After all Perrier water was long positioned and advertised as the ‘champagne of table waters’ until the lawyers put a stop to it. 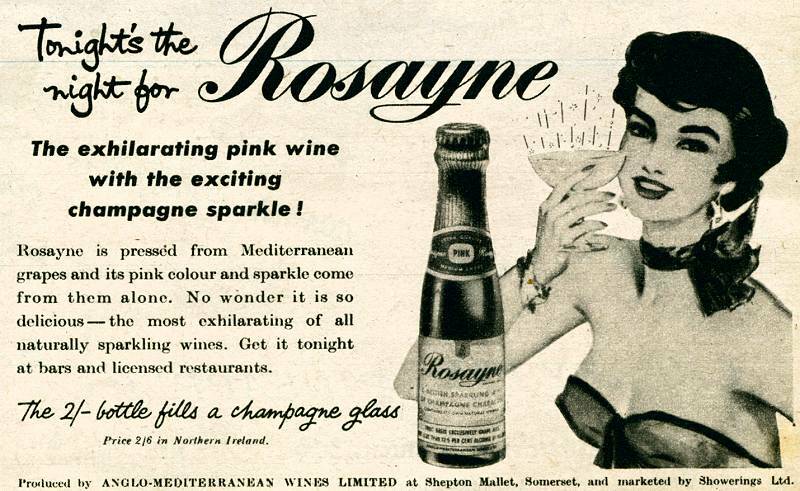 And I won’t start on the Babycham and Rosayne bubblies…that’s for another time.